NEW YORK — The National Institute for Reproductive Health hailed today’s Supreme Court decision in Whole Woman’s Health v. Hellerstedt, striking down two of Texas’s most recent abortion restrictions as unconstitutional. In a 5-3 decision, the Court rejected Texas’s thinly veiled attempt to use medically unnecessary laws to jeopardize women’s access to abortion — sending a strong message to legislatures across the country that they can no longer use politically motivated regulations to restrict abortion. Passed in 2013, the restrictions at the center of Whole Woman’s Health v. Hellerstedt were designed to close more than 75 percent of all abortion clinics in Texas, rendering abortion completely inaccessible in some parts of the state with more than 500 miles between providers. One provision required abortion clinics to meet the same standards as ambulatory surgical centers; a separate provision required doctors performing abortions to have admitting privileges at a hospital within 30 miles of an abortion clinic. These measures are just two of more than a dozen restrictions on abortion that have passed in Texas and among the record 334 laws restricting abortion access passed by state legislatures since the start of 2010 alone. The cumulative effect of these laws, as was seen in Texas, is to close clinics, pressure and shame women, and push abortion out of reach for many. “Today’s victory is the culmination of the fight that Texans and advocates across the country began the moment HB2 was introduced and a confirmation that we are on the right side of history,” Miller continued. The trend of laws restricting access to abortion runs in stark contrast to the views of the vast majority of voters across the country. Recent nationwide polling by the National Institute for Reproductive Health found that most voters want abortion to be safe, legal, respectful of a woman’s decision, supportive, affordable, available, and without embarrassment, pressure, or shame. 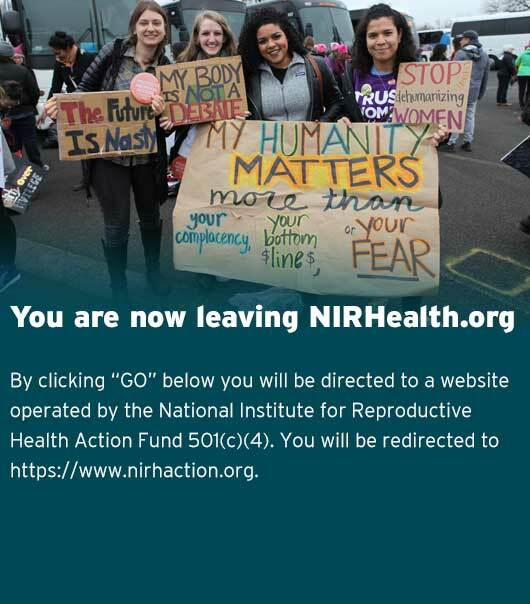 “Most voters believe that health care providers should be able to care for women seeking abortions based on their best medical expertise, without interference from politicians,” said Miller. “Yet scores of our state and federal laws contradict both public opinion and the promise of our constitution. Today’s decision is a vindication of our rights and a repudiation of the disproportionate influence of the anti-choice minority.